All our pork is supplied by Crowe Farm Meats, Gurtussa, Dundrum, Co.Tipperary. We recieve fresh delivery of pork every day, and the steaks are prepared in house by our own staff. 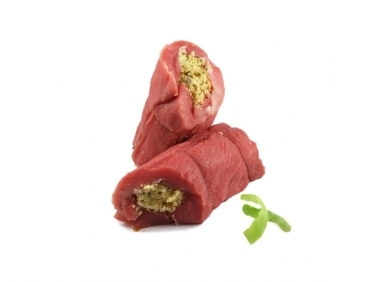 These pork steaks are stuffed with our flavoursome homemade stuffing, prepared daily with freshly ground breadcrumbs, onion, butter and freshly chopped herbs. Stuffed pork is perfect for family meals and just as popular for entertaining. Slice cold leftovers, if there are any, thinly for a great sandwich or salad meat.